Trying to Login FB after a long time and not sure any more about the password or username to access your profile then in such situation FreeViewer software solution gives you the ability to now view you're lost or forgotten FB password easily with the Facebook password viewer. This Facebook recovery software work on the Mozilla Firefox cache to retrieve your credential and will display all Facebook account that has been accessed via Mozilla Firebox browser. 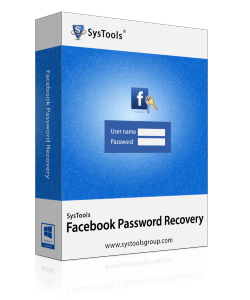 The Facebook recovery tool help you to get back your password that you might lost or forgotten and you have no other way to access it. Once you install and start the software it will try to find your software using the Mozilla Firefox cache, if it's there you will get in no time. The main reason one loose the password is that user tend to forget password especially complex type, so if it happens to be the case you still be able to recover it. The software is simple and does not clutter user experience with unnecessary features. So your overall experience will be awesome with the software during the recovery . 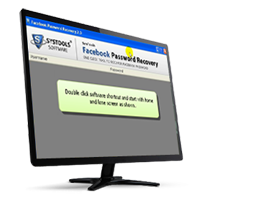 The recovery software comes with host of unique features to help you get back your FB account credential that you might have forgotten. No matter how complex is the password, the software will give you the recovered username and password back instantly. The interface of the password recovery tool is easy to use and even the novice user will be able to get his/her password back as long as they have used the Mozilla for accessing Facebook. The application can also be used as a forensic investigation purpose when you want access to the suspect profile credential. Using this online password recovery tool you will be able to acquire the credential of the suspect easily. If the suspect is not willing to reveal the password and you have the requisite permission then you can easily use FB password finder for retrieval purpose. If the suspect is having more than one user account that can be easily gets decrypt using the Facebook password recovery software for Mozilla Firefox. I forgot my FB password? If you have forgotten your FB password then simply download the application and if you have used Mozilla Firefox to access your FB account then the software will be able to recover your password in no time. How to I reset my FB password? The best method to reset your FB account is to follow the method mentioned by Facebook else if you want to reset the account just because you have forgotten your password then you need to first get your password back using the our Facebook Password Recovery Tool then follow the process as mentioned by the Facebook. 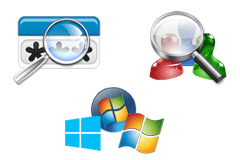 The software is free of cost both for personal as well as forensic use. I don't know that recovering FB password is so easy. I would not have believed had I not downloaded your software. Great way to recover your password. Easily run on any Windows OS including 10 & compatible with any Mozilla Firefox browser. Nice and impressive, the only requirement that the software have is that you should have used Mozilla Firefox to login in FB and if use Mozilla like me then you are in treat as the software will show the FB password in real time.